Wear your bridal gown with pride with these pre-wedding exercise tips! Before you start worrying about whether or not you’ll manage to squeeze into that beautiful gown on your special day, take a few minutes to realize the amount of resources that are at your fingertips for managing your weight in a healthy way during this important time in your life. The last thing you want to do is over stress about the planning, work obligations and other life events that can easily distract you from keeping your ideal weight and more importantly, removing the excitement out of the once-in-a-lifetime experience! Shape Magazine dedicated an entire website to bridal fitness and health: (http://www.shape.com/bride) Tips they provide can be extremely helpful during wedding season as well as any time in your life! Set yourself a few realistic goals per week that can be attainable. If you reach your goals, you can reward yourself by buying yourself something new or meeting friends for a nice dinner. In another line item, list out a consequence – something you want to avoid doing to help further your drive to meet your goals. Put it into your schedule like any other meeting, doctor appointment or dinner plans. For those who go to work early, try to allocate time after work (or lunch time if you’re able to get some time out of the office.) For those who arrive at work later, try to practice waking up an hour or two earlier and making your way to the gym or power walk outside on these beautiful spring mornings. This is one of the happiest times in your life – keep the positivity by sharing your goals with friends and family. They will help you to keep on track with your bridal plans and personal goals! 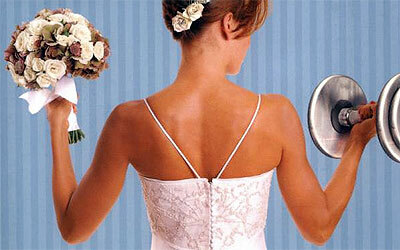 Everyone has a different schedule and circumstances that work for each individual bride-to-be. What is consistent throughout the process is identifying the motivational factor (which could be fitting in the dress, setting a goal to accomplish, adding exercise to your pre-wedding routine) and finding the desire to work towards something. It will give you a feeling of success and may help influence others around you to follow your path of healthy living! Starting with baby steps (walk to work instead of taking the subway or make lunch instead of ordering in) will help continue to urge to make healthier choices for your wedding and for your future! Here’s an inspirational article from Brides.com: (http://www.brides.com/brides/2011/04/brides-magazine-real-brides-weight-loss#slide=1) that may help jumpstart your weight loss plan! Nothing is more powerful than hearing personal real life stories for how other women overcame their weight obstacles to reach their goals right in time to say their vows! 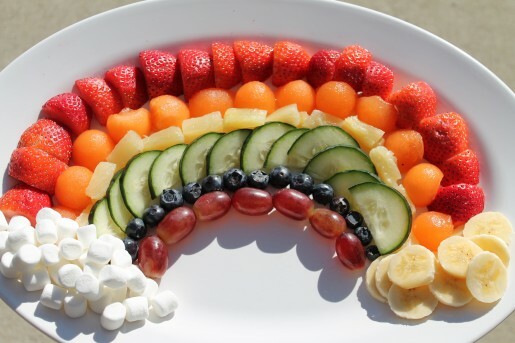 Healthy easy to make snacks for your St. Patrick’s Day party! St. Patrick’s Day is here! 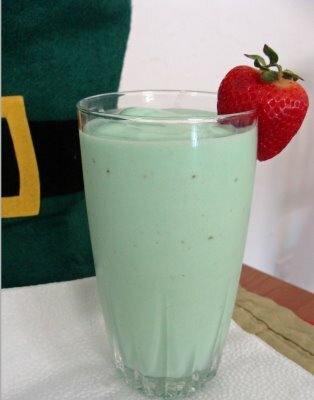 While most eateries are serving the generic green beer, you can try some unique and healthy food ideas for a St. Patrick’s Day party! 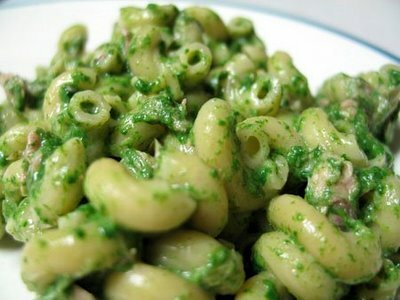 Here are a few simple do-it-yourself food ideas that will make your guests green with envy that they didn’t think of it! :: Add cheese to empty hot pasta pan along with milk, stir until combined. Add spinach puree and mix.